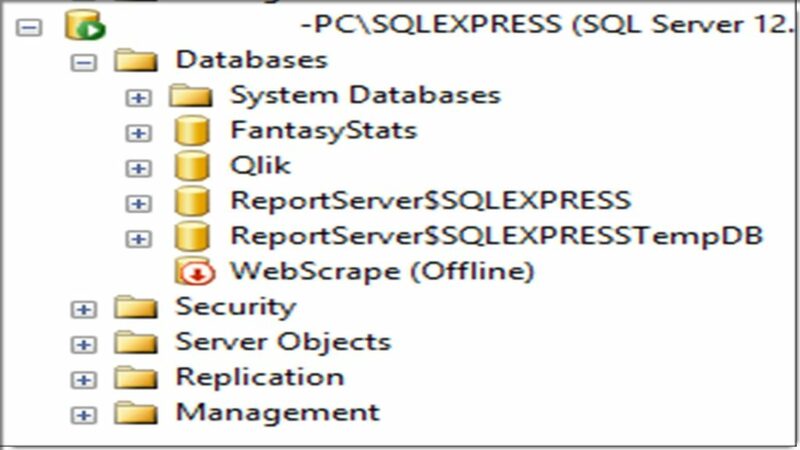 Last week, I ran into two separate instances where I tried to take a SQL database offline, and the process got stuck. Turns out the resolution is quite simple, so I thought I would share the steps in hopes it would help someone else stuck in a similar predicament. It took me a quite a while to figure this out, so I wanted to post these steps for future reference. The problem started when I simply tried to take a database offline, prior to removing it from the server altogether. We typically do this for a period of time, to make sure there are no existing processes or users who may be calling procedures or objects in the respective database. 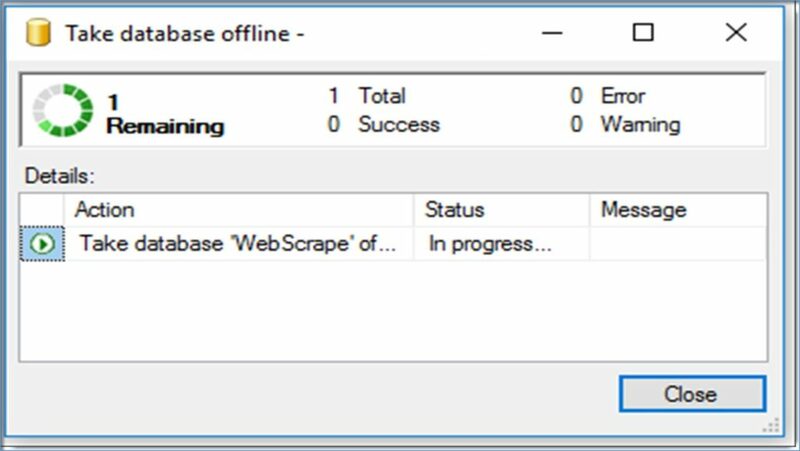 When you select the “Take Offline” command (Right-Click on database, got to Tasks, then select Take Offline), as illustrated below, the database typically goes offline immediately. To fix this issue, run the following steps. 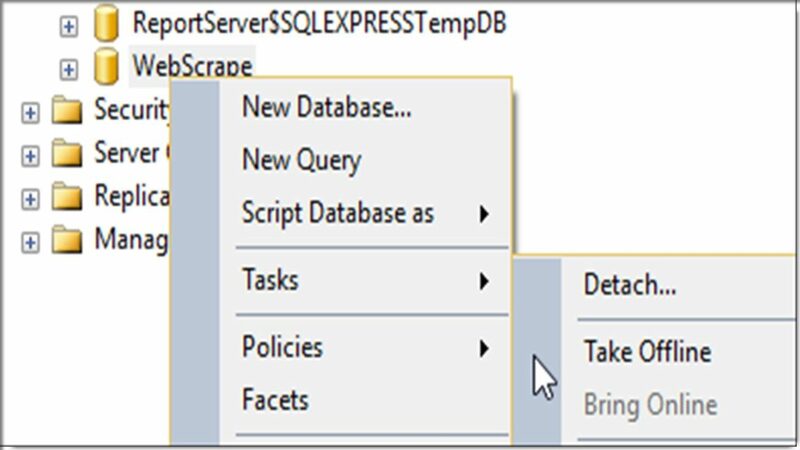 This system stored procedure provides information about current users, sessions, and processes in an instance of the Microsoft SQL Server Database Engine. The information can be filtered to return only those processes that are not idle, that belong to a specific user, or that belong to a specific session. 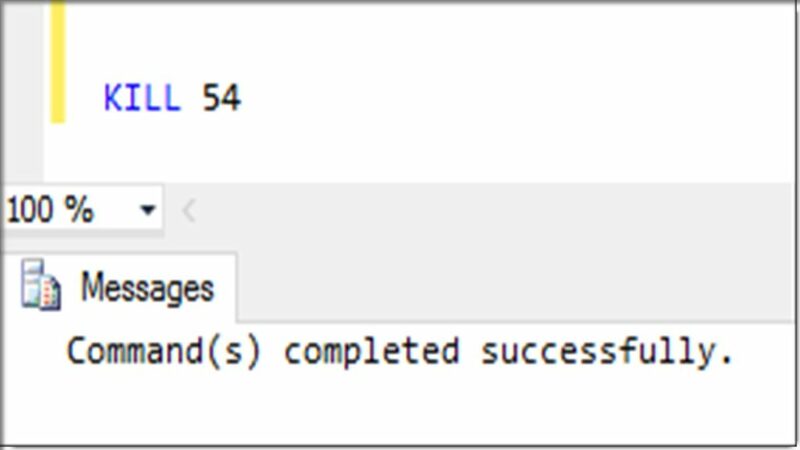 Because loginname “TestID” has an open connection to dbname “WebScrape”, I am unable to take the database offline. 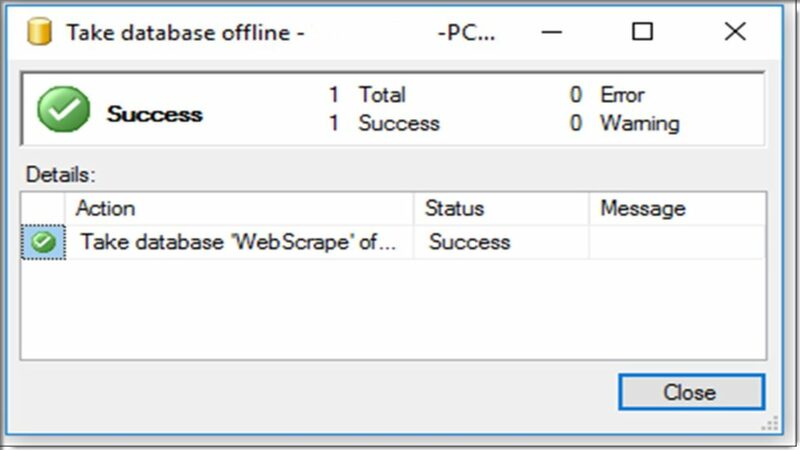 Now, when I go back and check the status of the “Take Offline” process for database “WebScrape”, we have success! I hope this helps someone who is experiencing the same situation!